We've seen girls wear glitter sequins around their eyes, but this is a little extreme. 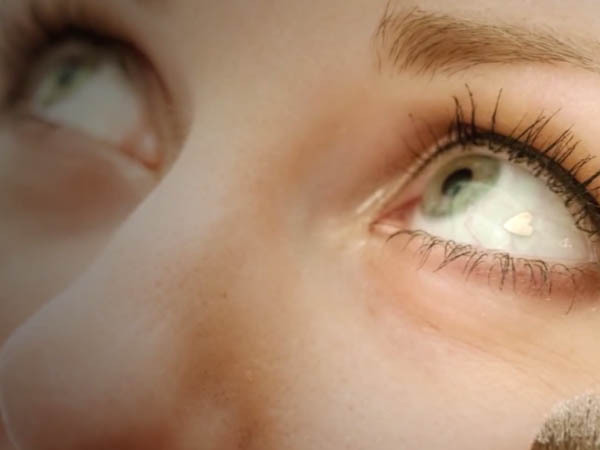 A woman in the States has had a 3,5 mm heart-shaped sequin embedded into her right eyeball. "Every girl wants something new," says Kristina Kovalevskya (26), a Russian living in New York. So naturally having a little piece of platinum shoved in your eye is the next step. According to Dr Emil Chynn at Park Avenue Laser Vision who performed the surgery, the procedure is nothing new in Europe and Los Angeles, but Kristina was his first New York client. To insert the heart, Chynn made a small incision in the 'skin' over the eye, and and slipped in the stud. "I don’t have to suture it up because it’s so small and it just closes up after three days," he said. He explains in more detail in the (very graphic, not for the faint-hearted) video below. Right. Well, we hope the trend doesn't catch on in South Africa. Warning: We weren't kidding. This video is not for the squeamish.